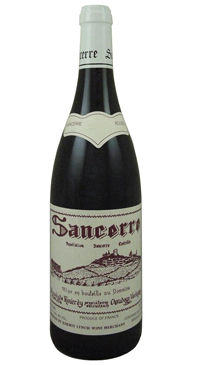 Michel Reverdy`s Sancerre rouge is much talked about amoung those who love pure Pinot Noir. The grapes are entirely de-stemmed and fermentation lasts for 2-3 weeks. The must undergoes pump-overs twice a day for ideal tannin and colour extraction. The wine is racked into 400-L barrels for the year, interrupted only by a natural malolactic fermentation in the Spring. The wine is then racked almost a year after the harvest for the final blending and then bottled unfiltered.